I’m obsessed with mangoes! 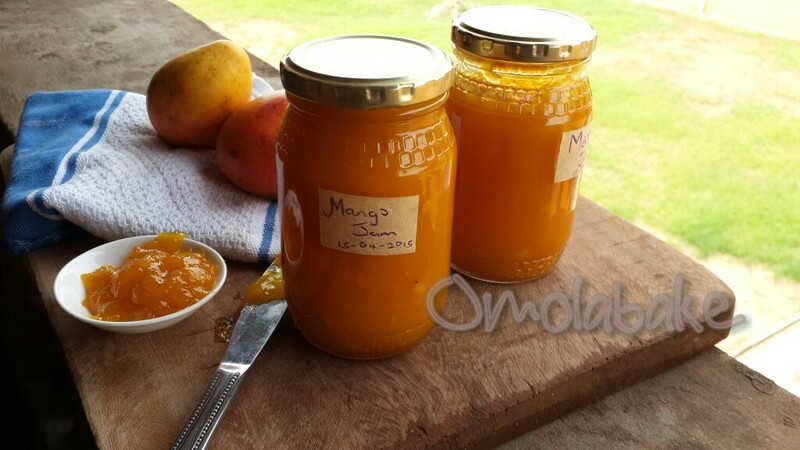 I look forward to mango season and when the season is almost over, I make tubs of jam so I can still enjoy some mangoes a little longer. I first tasted Mango Jam when I was in JSS 1. I was spending some time with my friend Ekenem’s family because there was severe fuel scarcity and our 3rd term final exams was on, I lived miles away from school and but they lived a walking distance from school. 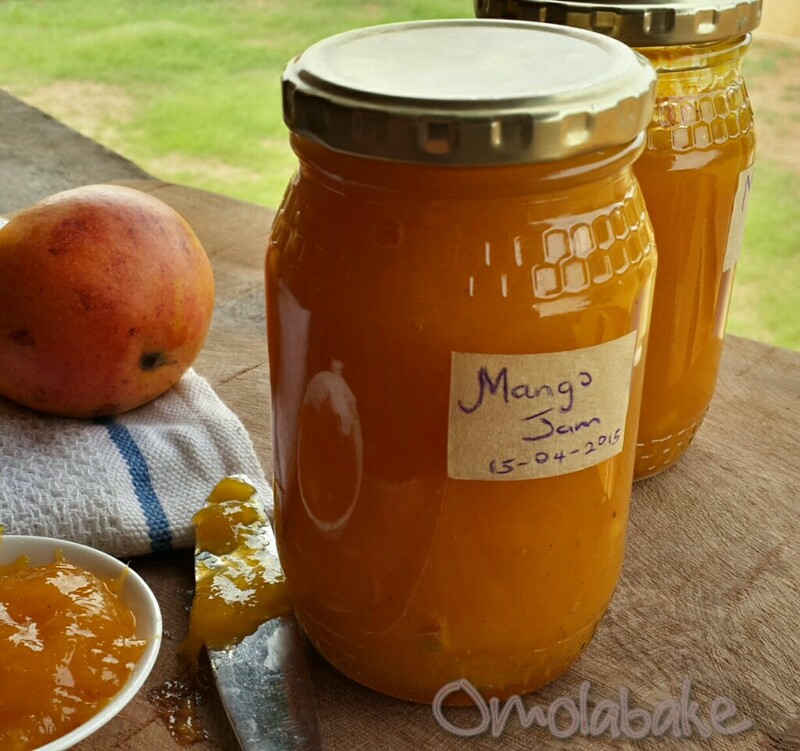 Ekenem’s Mum is a great cook and she made the most awesome mango jam I ever tasted. 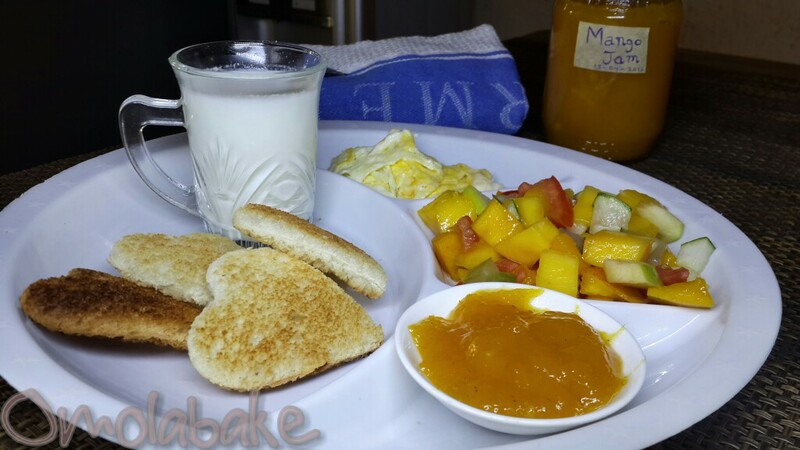 Though I never got her mum’s recipe, I’ve been in love with Mango Jam ever since. 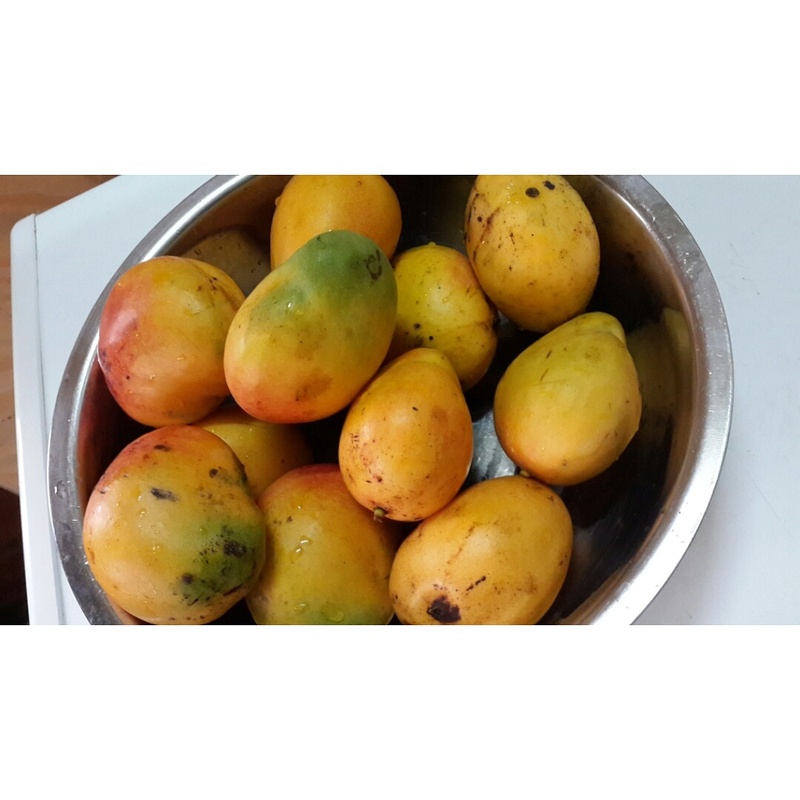 • 4 medium sized mangoes. – Allow to simmer till you have a thick not runny consistency. Stir regularly as it boils. If your mango cubes are too chunky, break it up with cooking spoon or ladle as it boils. The colour would change to a light orange shade. Avoid letting it burn except you like the burnt caramel flavour. 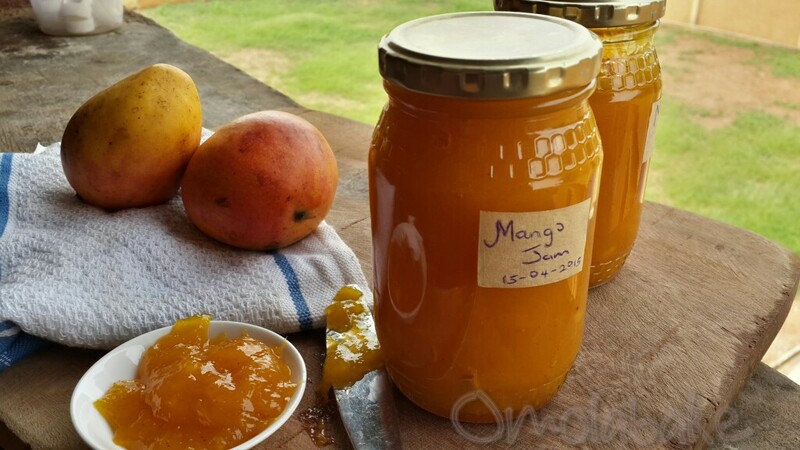 And that is how to make mango jam. Spread it over your bread or crunchy toast, it makes for a great dipping sauce too. *Please avoid thready mangoes. If however you get very thready mangoes, puree your mangoes first and sieve to get rid of the threads, before you proceed to boil. ☆ Store in an airtight container. If you are using a glass jar, wash the jar and boil the glass jar or stand the jar in a bowl and cover completely with boiling water and about a teaspoon of salt for about 10 minutes. This is to kill any micro organism in the jar and prevent food poisoning. ☆ Pour in the Jam and cover firmly with lid. Store in a refrigerator. ☆ If you don’t have a refrigerator or power supply is not regular where you live, pour the jam into the jar when it is warm, stand jar in a container and pour boiling hot water to the neck of the jar, leave it in the hot water till the water gets cool. Take it out and leave it on a counter top. Lots of Juicy mangoes and oranges in the market at the moment so will definitely love to try this. The 1/8 cup of sugar…please what would be the conversion in spoon? 1/8 cup sugar = 2 Tablespoons or 6 teaspoons or 6 standard cubes of sugar. Hope this helps. How long can this last without refrigeration? Thank you so much for the mango jam recipe ma. Would really appreciate receipes of other homemade jams if you can help with it.